Two well-known Shropshire business men are putting their best foot forward and will be taking part in the London Marathon in April this year. 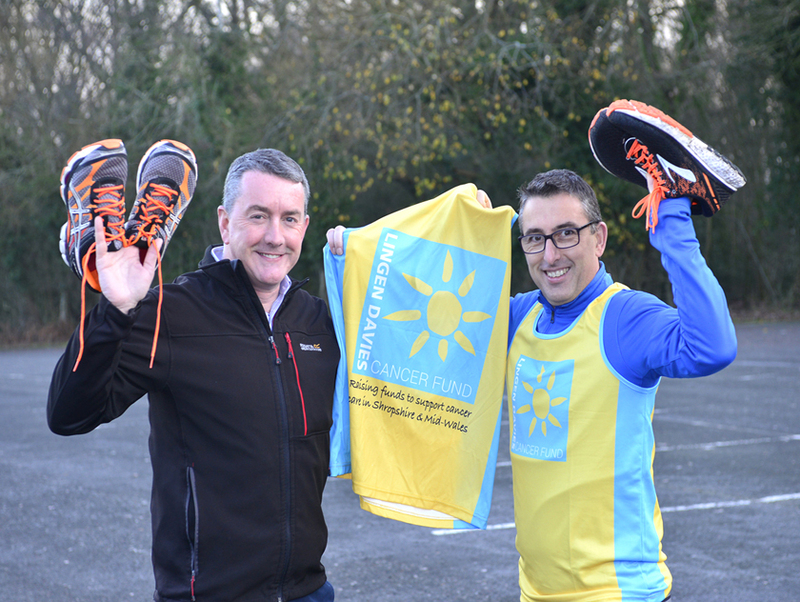 Nick Jones and Steve Oliver are colleagues at Nick Jones Wealth Planning based on Shrewsbury Business Park and will be running in aid of the county-based Lingen Davies Cancer Fund. Steve, aged 46, of Coleham in Shrewsbury is a member of Shropshire Shufflers, regularly taking part in the Park Run held in The Quarry each Saturday in Shrewsbury, as well as completing around 50 kilometres road work each week in serious and structured training. Nick however is taking a slightly different and more laid back approach and will begin his training through a 16-week internet-based scheme starting this month! Having completed the same marathon ten years ago, Nick, aged 47, of Telford Way in Shrewsbury, hopes to beat his previous time of five hours and 41 minutes. The pair are patron members of Shropshire Chamber of Commerce and are working towards hosting a gala ball in the Spring to assist them in their efforts to raise money for the charity, which offers support to cancer sufferers and their families. Nick said: “Even though I seem to be making a later start with my training, I am very serious indeed about the event itself and consider myself very fortunate to gain an entry place as it is always heavily over-subscribed. “The Lingen Davies Cancer Fund is an amazing local charity supporting many people with equipment and backing, both for sufferers during and after treatment and helping family and friends when support is most needed.